Ideal pacing is completing two analogies per minute. There are 120 questions on the MAT and you have 60 minutes to complete the test. In this post you’ll find some helpful tips to practice your pacing on the MAT! Now, let’s talk about some more helpful tips to practice your pacing on the MAT! Practice makes perfect! Time yourself when you take practice tests. This will help you get comfortable with the 60 minute limit ahead of time and allow you to adjust your pacing accordingly. The more familiar you are with the MAT and your test-taking speed the better off you’ll be! relationships between the words in an analogy the more efficient you’ll be! If you’re stuck move on and return to the question later. On the Miller Analogies Test you only receive points for the questions you get right. If you get a question wrong or skip a question you neither receive any points nor get any points off. For this reason, it is best to answer all of the questions you are sure of right away, because you get no points off for ones you’ve answered incorrectly. 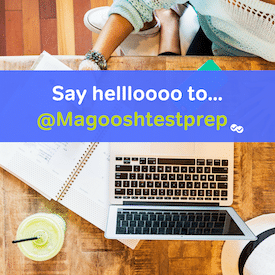 You want to give yourself an opportunity to answer every question on the test to make sure you maximize the number of questions you get right. Try to answer every analogy on the test. It is in your best interest to answer every question to give yourself a chance on each question to score points. You miss 100% of the swings you don’t take, so give yourself an opportunity to score on each question by choosing your best possible guess even if you are unsure! Remember you get no points off for wrong answers!